3 November 2013 - Group Registration for Sponsoring Companies : Each sponsor company will need to have a sponsor account in order to register their delegates for this conference. Please click here. 31 October 2013 - Deadline Extended : We are happy to announce that the deadline for both early bird registration as well as abstract submission has been extended to 30th November 2013. 25 September 2013 - Invitation Letters for Visa Application : For delegates who require an official letter of invitation for visa purposes, please click here. Pre-registration for these full-day courses are now open. Only registered delegates of 21st RCD are eligible to register for the courses. 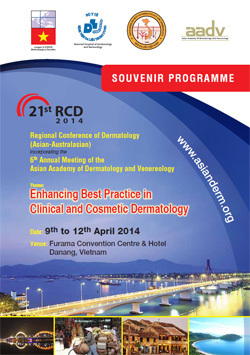 On behalf of the Vietnamese Society of Dermatology and Venereology, I am very pleased to welcome you to the 21st Regional Conference of Dermatology (21st RCD) to be held in Danang City, Vietnam, on 9th to 12th April 2014. 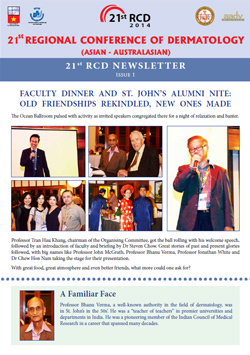 The 21st RCD is a special and unique platform for all dermatologists in the region to make friends with one another, share and learn new knowledge from latest studies or simply from other colleagues’ valuable experience in Dermatological practice. 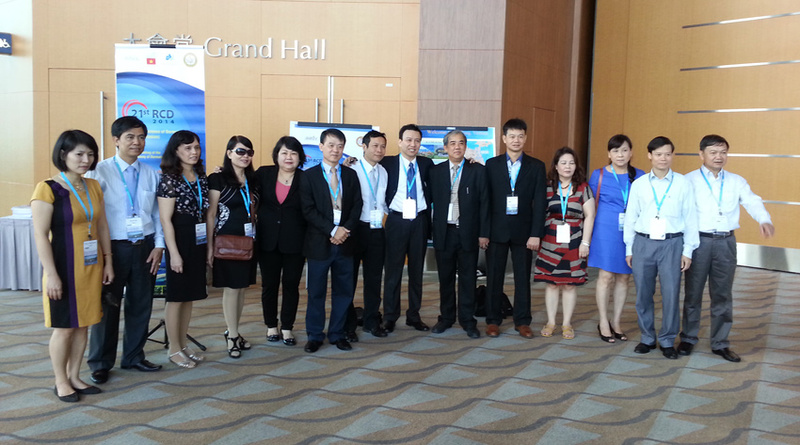 Danang, located in the centre of Vietnam, is the host for the conference. It is a very attractive city in Vietnam with beautiful beach which considered one of the six most outstanding beaches in the world and many surrounding gorgeous sight seeing. The organising committee has prepared various scientific activities for the participants. I am confident that all of you would be able to gain more knowledge about Dermatological science throughout all the sessions we organise. At the same time, I hope you be acquainted with dermatologists since this is a unique opportunity to learn how and what our colleagues are doing in various countries in Asia. I look forward to meeting you all at the 21st Regional Conference of Dermatology. Once again we celebrate another milestone in the history of our regional dermatology fraternity. 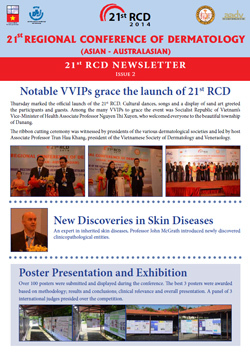 For the first time this RCD, the 21st RCD will be held in Vietnam to celebrate the entry of the Vietnamese Society of Dermatology and Venereology (VSDV) into the League of Asean Dermatological Societies (LADS). This important event follows the inauguration of the AADV in Hanoi in 2009. On behalf of the Council of the LADS and the Board of the AADV, I would like to urge all aspiring dermatologists, trainees and registrars to take advantage of this special opportunity to attend the many teaching courses and workshops that the 21st RCD has to offer. You will learn much from the many eminent teachers in dermatopathology, dermatologic surgery, allergy and contact dermatitis, clinical dermatology and dermatologic therapy. I note that the Professor Tran Hau Khang, President of the VSDV, heading a dedicated Organising Committee, is committed to bring to the 21st RCD a pristine international and regional faculty of world-renowned experts. I am told that many new shooting stars as well as icons in dermatology will be attending. The scientific program that is being developed will be in keeping with the high standards set by previous RCDs. The sharing of information and expertise opportunity generated by this meeting will be relevant to your daily dermatology practice. The close fellowship of dermatologists of our region that had been the hallmark will again be seen in the Congress social program. I also note that our biomedical partners and supporters who have travelled with us through the past 40 years of the RCDs are again present in force.